Known as Noorilim, (local Ngurai-illum Aboriginal tribe meaning 'many lagoons') this magnificent homestead and its surrounding gardens is now classified by the National Trust, and has only recently been opened to the public again. 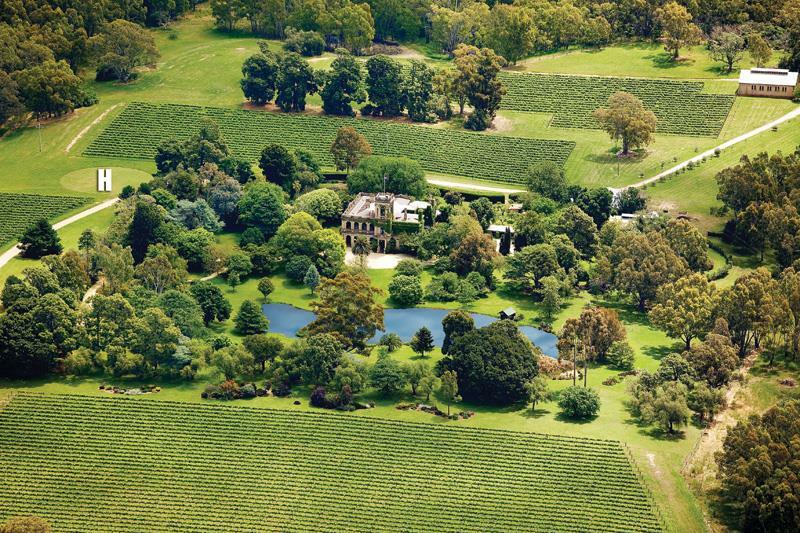 Noorilim Estate is located near Murchison in Central Victoria less than 2 hours drive north of Melbourne. The mansion was built in 1879 for William Irving Winter, later William Irving Winter-Irving, a wealthy pastoralist and member of the Victorian Legislative Council for the Northern Province (1884-1901). The architect, James Gall, built a home that now holds a central position over the alluvial flats of the lower Goulburn River and its associated vineyards. Noorilim is one of the finest examples of Italianate architecture in Australia. In 1888, photographs of Noorilim were exhibited at the Centennial Exhibition in Melbourne to great national acclaim. The estate is surrounded by 22 acres of picturesque botanical gardens, an ornamental lake and 75 acres of vineyards that are home to over 150 species of native birds and mammals including Laughing Kookaburras, Cockatoos, Parrots, Koalas and Kangaroos. Visitors to Noorilim will be mesmerised by its tranquil surrounds and stately architecture where time stands still. The exquisite gardens of Noorilim Estate are impeccably maintained and provide the perfect setting for weddings, photography, and functions. We are open to the public on Sundays (10am-4pm). Private tours of the mansion and gardens are available all year round. Please contact us today for bookings or for additional information. Weekends are precious. Two days to do what we please. No city does a weekend better than Melbourne. Get out and discover the very best of Melbourne shows, ..